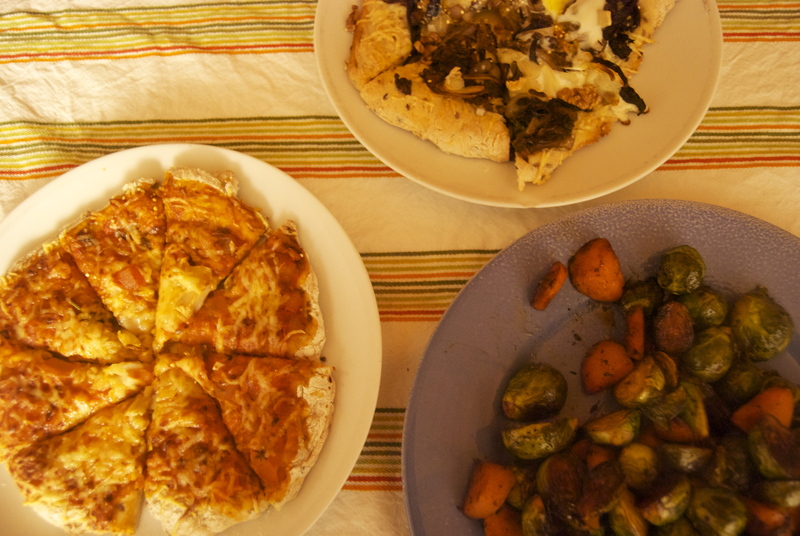 I got into making pizzas while staying at my parents house just before my return to France. They love to barbecue exorbitant amounts of vegetables and tofu, as it’s one of the few things that my Dad is comfortable executing in the kitchen (or on the patio I should say). Being a little extreme, my Dad never fails to barbecue roughly the amount of vegetables required to feed a small village for 1 week. So, this has led to some creative approaches to leftovers, as you can only eat vegetables with tofu and rice so many times before you want to just scream out loud and devour a massive piece of fatty meat. 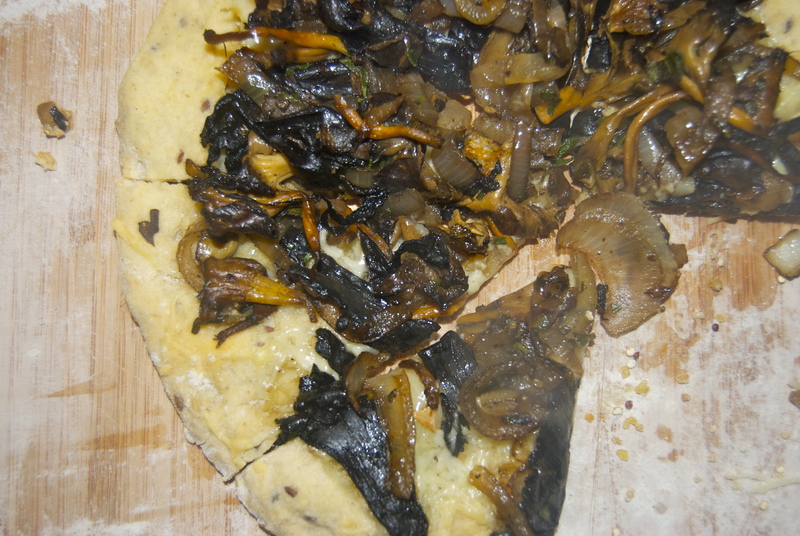 One of the favorite ways to use up all the leftover veggies has become piling them all onto a pizza crust and throwing the whole thing in the oven. 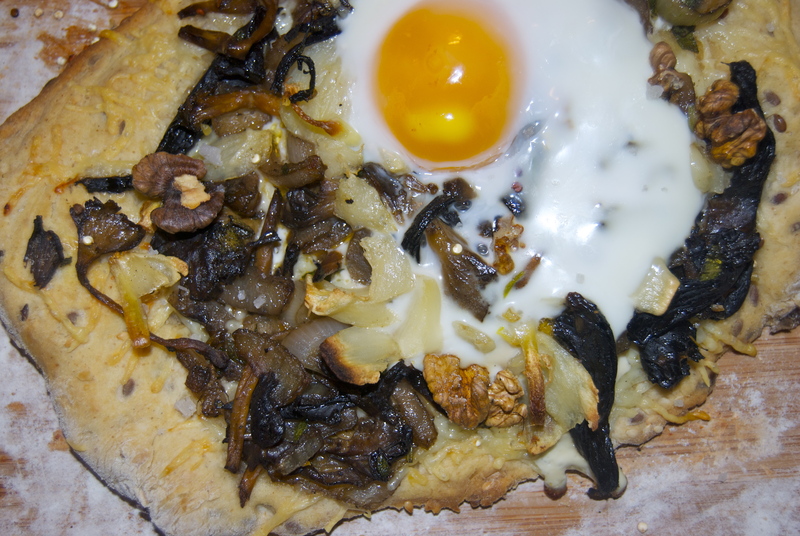 It started with store-bought pizza dough (God, how I miss Trader Joe’s!) and progressed to homemade dough, because it was only a matter of time before baking the pizza wasn’t enough for me: I actually had to make the whole thing from scratch. I used a recipe from an old Sunset pizza cookbook, and was pleased with how fast and easy the whole process was. So, faced with a busy schedule at work this week, a pending voyage back to the United States, and a hungry boyfriend staying chez moi, I thought of pizzas. They’re quick and easy, and they hold well in the fridge (and even taste great cold). I let the dough rise for about a day before dividing it up and putting it in the fridge. When I woke up the morning after I made it, it had actually spilt over the massive bowl it was in, and looked like some sort of blob-thing from a horror film, trying to eat up everything in its sight. I rolled out the dough in small batches with a flour-dusted wine bottle: living in a tiny apartment with a tiny kitchen has led to some intensely creative cooking scenarios. It was after the dough had all been rolled out, and I was going to put them onto plates and cover them in mushroomy goodness that I realized that the corn meal I had bought to sprinkle over the baking sheets to keep the dough from sticking was actually corn starch. Whoops! I should have known it was too good to be true that my little French supermarket would carry corn meal. 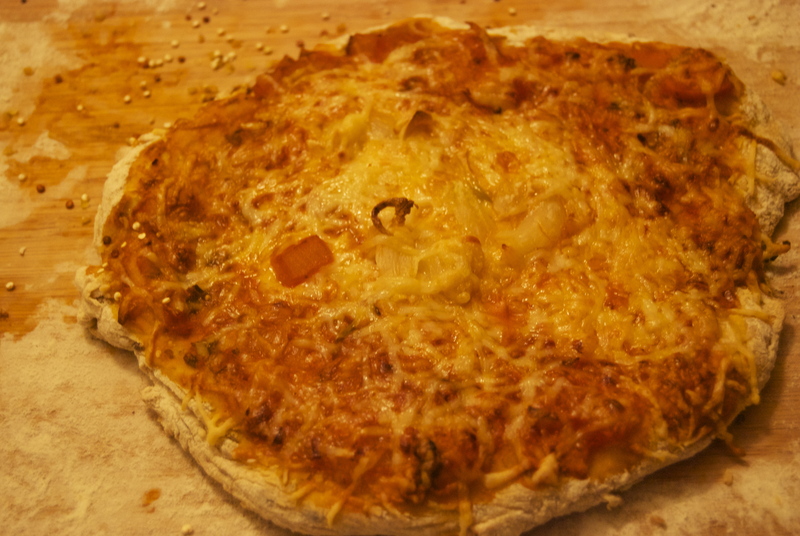 So, I improvised and used some raw quinoa, which actually gave the pizza a nice, hearty crunch in the end. 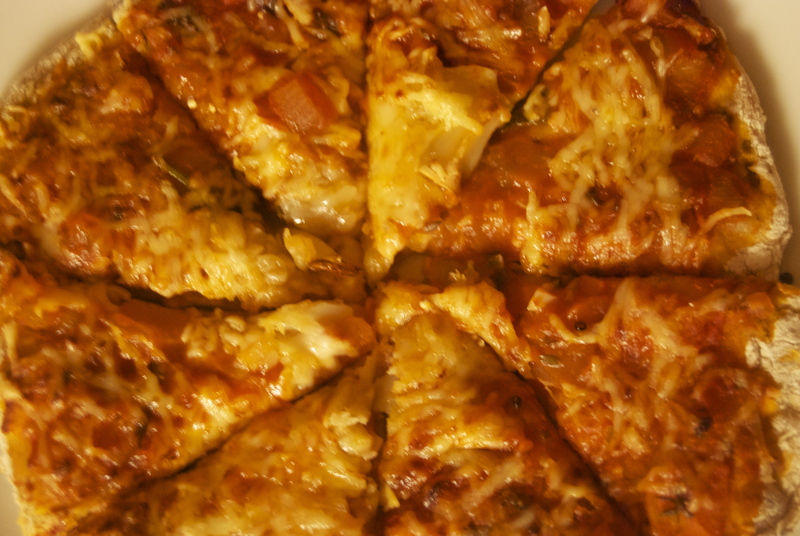 I also made a simple tomato sauce pizza, with the same ingredients as the mushroom pizza minus the mushrooms obviously, and plus the tomato sauce (I’ll be posting my recipe for homemade pizza sauce very soon as my next installment will be about my mushroom lasagne).